Heart arrhythmia can include any irregular heart activity, such as palpitations or atrial fibrillation. 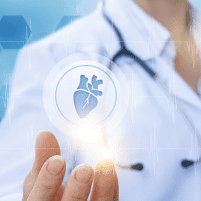 Although heart arrhythmia isn’t always dangerous, it’s important to have all heart irregularities monitored by a skilled cardiologist like those at Healing Hearts Clinic in Conroe, The Woodlands, and Huntsville, Texas, to ensure your best heart health. To talk to a cardiologist, use the online appointment tool or call the office today. Heart arrhythmia means some type of diversion from your heart's normal electrical impulse pattern. There are many types of heart arrhythmias, including the following. Arrhythmias can range from usually harmless like extra heartbeats to very serious like atrial fibrillation or ventricular fibrillation. Heart palpitations are a feeling of something being off with your heartbeat. When you have palpitations, you may feel hyper-aware of your heartbeat, noting that it feels odd but possibly being unable to describe it. Sometimes, palpitation sufferers say that their heartbeat feels like it's skipping, beating too hard, or beating too fast. In many cases, heart palpitations are caused by heart arrhythmias. Often, heart arrhythmias aren't serious or dangerous, but in some cases, they can be serious or potentially deadly. Therefore, it's always best to get checked by your cardiologist if you're experiencing palpitations. How is heart arrhythmia diagnosed? Your cardiologist performs a physical exam and discusses your symptoms with you first, and then performs diagnostic tests to determine what type of arrhythmia you're dealing with. Diagnostic tests may include echocardiogram, electrocardiogram, electrophysiologic testing, tilt-table test, and stress test, and you might also be asked to wear a Holter monitor at home. Your cardiologist may also prescribe medication like beta blockers, calcium channel blockers, antiarrhythmic drugs, or anticoagulant drugs to help control your arrhythmia. If you have a serious or potentially serious heart arrhythmia, you may need to undergo a procedure like catheter ablation using radiofrequency energy or get an implantable device to control your heart beat more efficiently. If you’re concerned about a heart arrhythmia, contact Healing Hearts Clinic today by using the online appointment tool or calling the office.